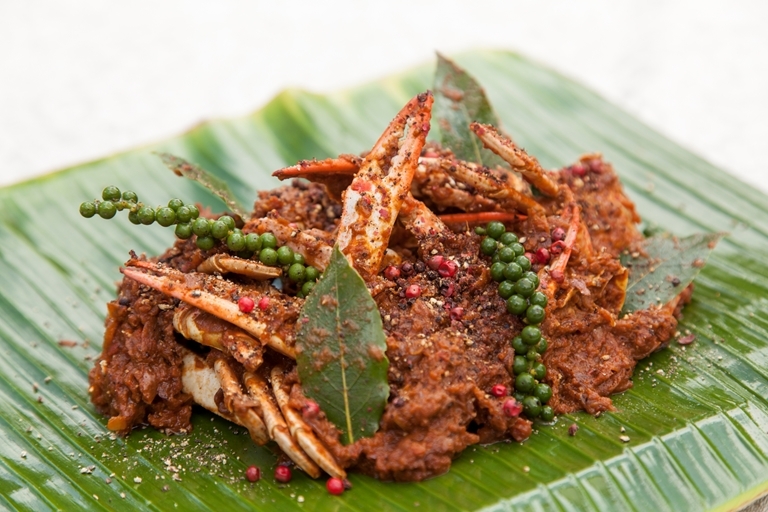 The delicate flesh of the crab works perfectly with the peppery, fragrant spices in this easy curry recipe by Alfred Prasad. Blue swimmer crab is largely found in the Indian and West Pacific oceans and can be bought fresh from some specialist fishmongers but is more commonly available frozen. As the crab is cooked in its shell the chef advises serving this dish with lobster picks or seafood forks, if you have them, to scoop out the succulent crab meat.